Not long ago I cleared enough space in our library bookshelves to accommodate our new stereo system and vinyl collection. Remember? 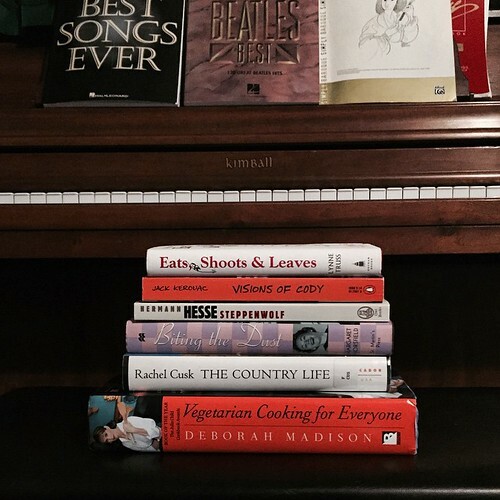 Looks like I’ll need to so some rearranging and make space for more cookbooks in my kitchen. Never fear – I WILL prevail. Are you a book collector? If so, leave me a comment and tell me your favorite type(s) of books to collect. I’m partial to old fiction, classics in older bindings, and certain types of travel stories. I recently sorted out one large Aldi grocery bag of books to donate to the women's club book sale…then joined Blogging for Books and ordered my first book…yes, this is a problem but then I do the same with my thrifting. It's all for the booth, except what I end up bringing back home because I decide it suits my current decor…so I clear out a cabinet and then go off and bring another load home, lol. I don't care what kind of books they are. If I can read them, and don't have a copy, I want them! 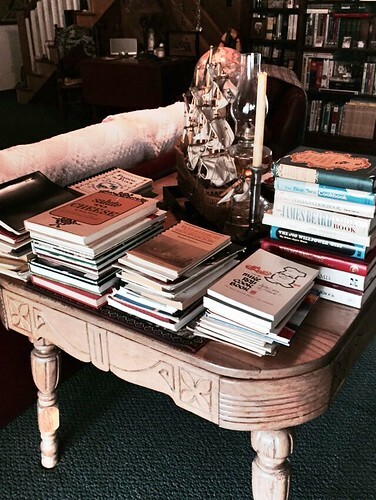 No, there's no such thing as too many books. 🙂 I go through phases with book collecting. 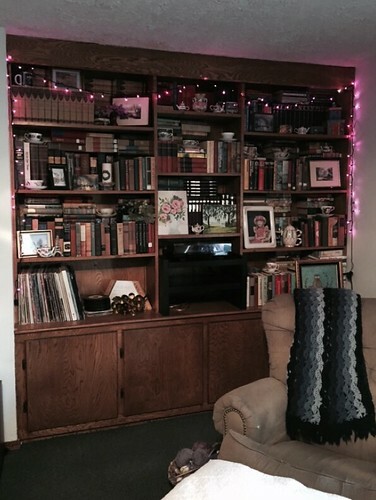 At one point, I've collected cookbooks, medieval history books, women's studies books, craft books, environmental books, farming/sustainability books, simplicity books….I now try to just read books and ebooks from the library so I no longer accumulate books like I once did.